New PFP Festival Details Revealed! The Show of A Century! 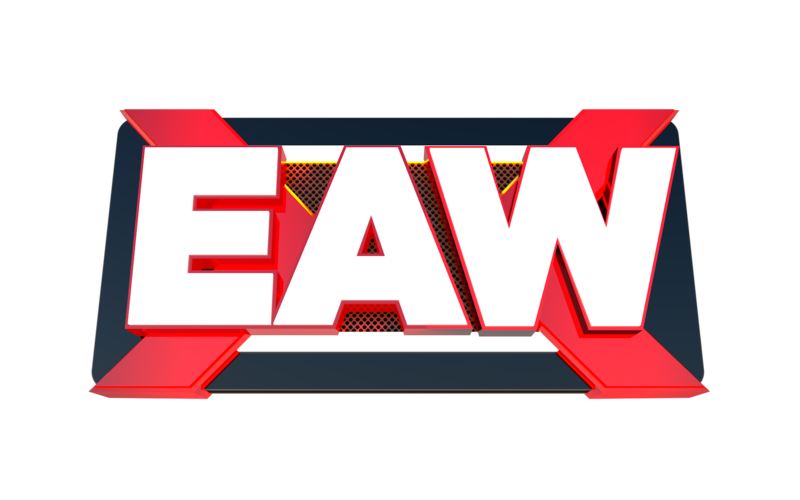 – EAW has partnered up with EDC (Electric Daisy Carnival) to merge the best of both worlds – that being pro wrestling and live event entertainment! It will take place live at the Las Vegas Motor Speedway, and is expected to be a 4 day live event. – The Hall of Fame is confirmed to return as a part of PFP Week. It has been rumored to be taking place on Wednesday, June 10th, however the exact date has not been confirmed. The Hall of Fame red carpet event is heavily rumored to return following it’s highly favorable response from the EAW front office. – Pain for Pride week is expected to return, along with PFP Axxess that is said to be ‘bigger and better’ than ever. It is rumored to be a 2 day event. – The rumored venue for PFP Axxess is the Thomas & Mack Center in Paradise, Nevada – which makes sense due to its close proximity to the Las Vegas Strip. – The EAW Hall of Fame venue is all but confirmed to take place at the T-Mobile Center. The T-Mobile Center has also advertised the Hall of Fame for June 10th, although the date may change. – PFP: Festival already has a STAGGERING 280,000 tickets sold for the entire event. Of these tickets, 200,000 of the tickets purchased are passes for multiple days of the event, 130,000 of the tickets purchased are for all 4 days, 50,000 are gold pass tickets including PFP Axxess, and 30,000 premium pass tickets including PFP Axxess, Hall of Fame attendance, all 4 festival days, room & travel accommodations, among others. – The very limited “Emerald Pass” allowing VIP seating, access to the backstage area, meet & greet with Elitists, among full-ride festival attendance, has been sold out for months and is only available through select sweepstakes. – PFP: Festival is being financed via a 60/30 split, with EDC shelling out a vast majority in production costs. The estimated costs are rumored to be in the $50 million dollar price mark, and that’s excluding live performances, talent, promotion and advertising. The map of PFP: Festival (which is a very large venue) will follow along the guidelines of the map of EDC. The Las Vegas Motor Speedway is set up as a “miniature town”, due to the multiple stages that are all taking place at once featuring performers and notable DJs. This will return for Pain for Pride Festival, with rides, attractions, as well as stages featuring other performers for the entire day (beginning at 3pm) and well into the night – even while action is taking place. We can also expect to see jumbo-screens projecting the live wrestling event all throughout the park, making the action visible to just about everyone in the venue. A view of the ‘theme-park’ atmosphere, which will rumored to have a pro wrestling theme throughout the venue. EDC has also introduced “camp pods” allowing festival-goers to enjoy the camping experience within moon glow tent pods. While this has been introduced for the non-wrestling EDC festival, it will be retained for PFP: Festival in June! These pods can be purchased for $300 off of EAW.com of the EDC official website, and the pods can even be customized with brands such as Dynasty and Empire, groups such as Big Oasis Brand, House Vendetta and #EliteCountry , and a DDD-approved “gay pride” bundle of pods for a 30% off discount. The “Circuit Grounds tent of EDC, pictured below, is in the Guinness Book of World Records as being the largest tent in the world. Circuit Grounds Tent – what will be used as the “backstage area” for talent. This year, the above tent will be closed off to the public – and will serve as the backstage dressing room!. But don’t let the fact that this is a gigantic tent fool you, it is going to be one of the most high tech, luxury backstage environments EAW Elitists have ever been a part of. Sprawled out within this mini-venue will be transportation carts, five star catering, rest and relaxation, DOZENS of trailers for both talent and personnel, including three medical trailers – because this is still EAW, after all. There will be full shower & bathroom accommodations, both private as well as shared, and it will certainly be spacious enough to hold an entire EAW locker room for an event like Pain for Pride, which is an all hands on deck event. Included, of course, will room production trucks, camera crews, and multiple viewing rooms for the talent and staff. The insane part is, there’s still much more left to be revealed! Tune back into efedzone for more, I’m Kathy Kush, and I hope to see YOU at Pain for Pride Festival this June!